This is a new segment to honor and recognize outstanding Belizeans and their descendants for their accomplishments in the fields of Literature, Art, Music, Medicine, Politics, Business and Community Activism. As a proud Belizean, I believe it is imperative that we support and promote all Belizeans both at home and abroad. You are an important part of our community. You can nominate a candidate for Belizean Spotlight that you believe has excelled in any of the categories above. 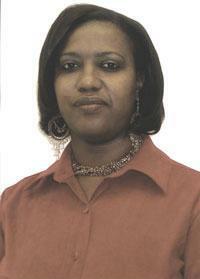 Allison Brown was a former Administrative Officer in the Belize Public Service. She decided to place her career on hold for a couple years, while she followed her God-given purpose in life. Allison did just that when she wrote this phenomenal novel. 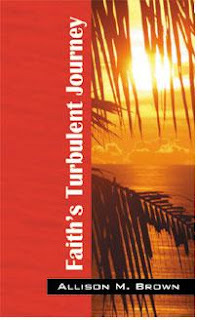 This journey of faith, drama and love evolved in Belize and traveled to the United States. Raven the daughter of a local Belizean woman and an English Soldier was born in a culture, which rejected her. At the age of eighteen, she felt inspired to step out into the world and so traveled to the United States, where her naiveté landed her in prison. After years in prison, she entered college, and was introduced by a very close friend to a world that she never knew existed. A world of deviant coercion, a dark world of satanic theologies and rituals that had her fleeing for her life and grasping unto all the faith she could conjure up to keep from falling into an endless tunnel. Raven met and fell in love with a fine young man and things progressed rapidly. After meeting his family she was confronted with a past that promised to shatter her entire being, spiraling her into that endless tunnel. I guess you are aware that you are breaking new ground here. We as Belizeans usually highlight only persons who have the requisite approbation from officialdom. I think its a gutsy move on your part but then again you are an innovator! The world in which we live is now a village, it is very complicated and dangerous. In this age of instantaneous communications, we have no time to process the information that we are bombarded with on a daily basis. It is only natural for us to focus and get to know the people of our community in this village.